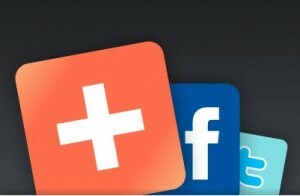 There are far too many ways to add social media links and icons to your blog. However, if you are playing the social media PR game, it’s a necessary part of your web presence plumbing, those share, tweet this, facebook icons on your site and your blog. Up to now, I had been happy with my socialable plugin, resisting the siren call of adding bolder and bigger social media icons to my sidebar. Then I looked at AddThis. It’s so dead simple, you can’t help but to just do it. As long as your wordpress theme is widget aware, all you have to do is cut and paste HTML code into a Text Widget that you drag and drop to your sidebar. The step by step instructions are right there on the AddThis web page. The simplicity of the user experience is something that should be strived for by all webdesigners. You can see it in my sidebar to the right. I still have sociable but I updated the settings to show it only on individual blog posts so I didn’t have dueling social media button bars on my home page. AddThis also generates cut and paste code for your website, blogger.com and myspace for four different types of buttons.